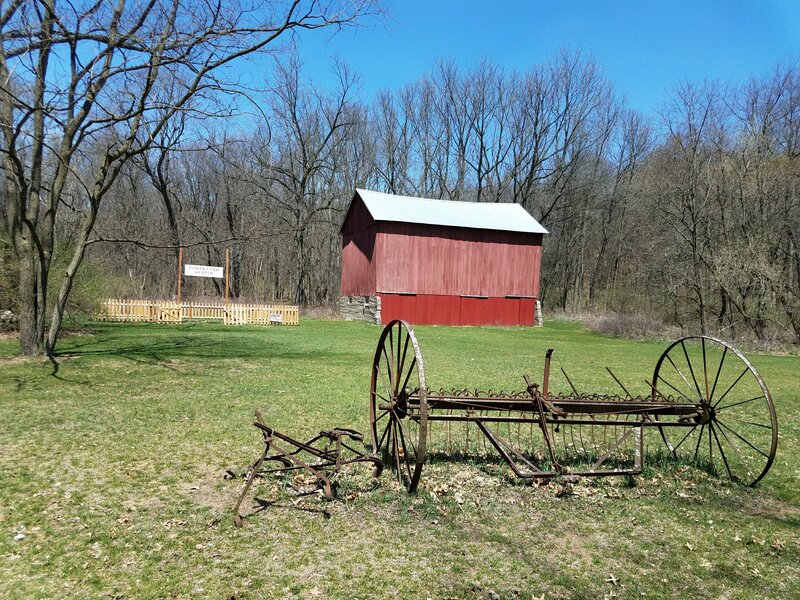 Fall, in and around Fallasburg, is truly a very special and scenic place. Purists might say this hasn’t been an optimum year for fall color or its longevity, but it sure had me fooled, and the “Indian Summer” we enjoyed was exquisite! I hope you had a chance to visit and soak it all in. 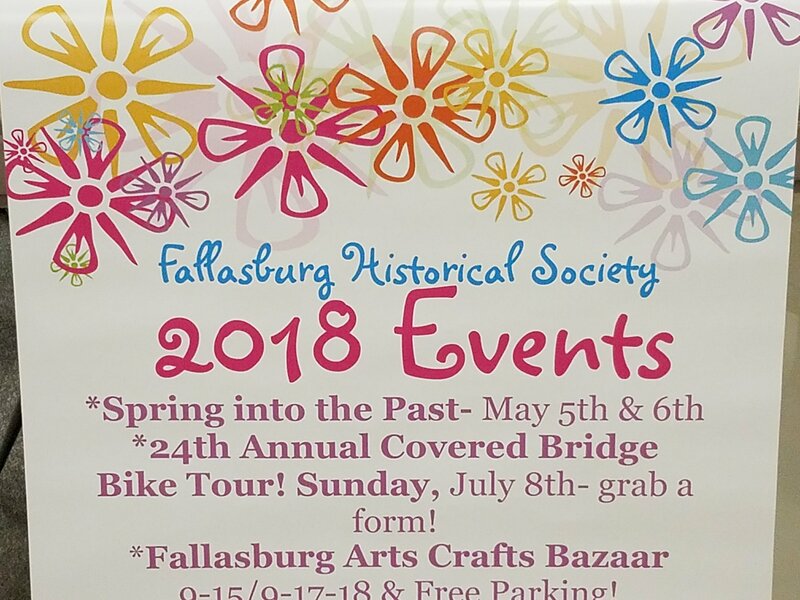 2017 is almost up, and so is another year for FHS as steward of Fallasburg Village! The job of the preservationist is never done however, although finally weather says otherwise, at least for outdoor projects. I do believe volunteers would still be out prepping, repairing, and painting properties if we pitched a tent-well, maybe a heated tent. I guess you really could call this the year of the volunteer! 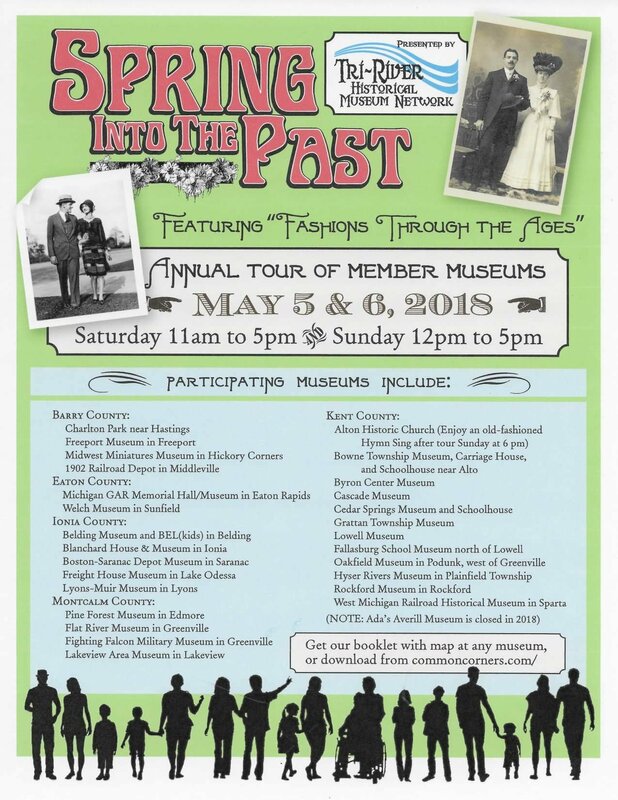 They have been amazing in the things they have accomplished maintaining our buildings and grounds, and so have they been in the preservation, and sharing of knowledge about our history. FHS’ cataloging project of “accession” pieces, the stuff people donate to us; pictures, documents, artifacts, old farm tools, our museum exhibits, has been kept on track by volunteers, and our events come off without a hitch thanks to volunteers, as well. “Hall-of Famers” for fall include FHS members; Alan Rumbaugh, Tina & David Cadwallader, Mark Kuzee, Frank & Patty Brechbiel, Tracy Worthington, Addie Abel, Emma Palova, Michelle Emaus, and JoAnn Childs. You are tops. We couldn’t do it without you. The list of “cookie bakers,” and “foodies” that help us out from our membership is simply staggering. Thanks to all of you! Special thanks should go out to Mitchell Tower. Mitchell recently completed his Eagle Scout Badge Project-the construction of a fenced “community garden” honoring his family’s heritage on the historic Tower Farm in Fallasburg. It looks beautiful! FHS can’t wait to get growing. Happy Holidays & Seasons Greetings! Fallasburg Historical Society cordially invites you to the traditional “Christmas in Fallasburg” party on Dec. 9. Christmas in Fallasburg always features the band Hawks & Owls. The schoolhouse in Fallasburg has always been a place that joins us together. She was built so we would come; to learn, to share and to celebrate. Our schoolhouse, dressed for the holidays, once again stands ready to welcome you. Please join us for our community celebration. A $20.00 donation is requested from adults.